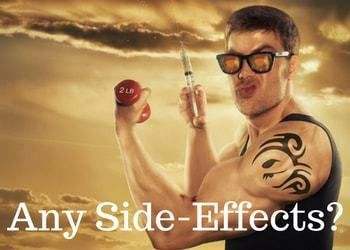 Does a PQQ Supplement Give You an Unfair Advantage? 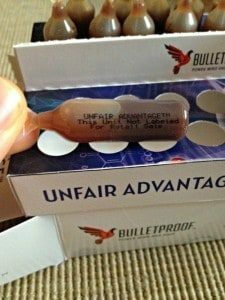 You may have heard famous biohacker, Dave Asprey, talking about how he feels powered up after taking Unfair Advantage,his new Bulletproof supplement. I was lucky enough to get my hands on some samples whilst I was at his 2nd Bulletproof Conference in Pasadena, CA back in September 2014. Dave gave us, the biohacking crowd, some samples to try before we could then go buy it at the store in the conference venue. Dishing out freebie supplements to a crowd like this is like feeding free food to a hungry lion, they are going to take all they can get instantly. I’ll put my hand up and admit I too was a hungry biohacking lion and I’m proud of it. Before I get into what I think of this new mitochondrial support supplement, I want to delve a little bit more into its active ingredient. PQQ is short for pyrroloquinoline quinone. Much easier to shorten it and pronounce it abbreviated. Don’t worry I won’t try get into the heavy science behind this I’ll leave that to others to try explain it to you. This is why anti-aging doctors, and groups, seem to love the stuff. That is because a PQQ supplement offers a third option, which is the least stressful on the body. Maybe that is where Dave first came across it, as he is a part of the Silicon Valley Health Institute. Taking some Unfair Advantage (but maybe not every day, my thoughts below). Of course, you could also get a good oxaloacetate supplement, a whole body vibration platform machine or a PQQ supplement on Amazon. However, you cannot get Dave’s form of ActivePQQ™ anywhere else. There are natural foods that contain different levels of PQQ. Natto is the top performer it looks like, but even it was funny to read in this paper that even whisky has some. However, I don’t think going out to get a bottle of your favorite Scottish past time is seen as a health supplement purchase. Even though something is natural and works doesn’t mean you don’t have to watch out. From what I have read the liver and kidneys are the organs that might be affected by taking too much. So what is too much to cause an overdose? Well I haven’t found anywhere citing humans taking an overdose, however, researchers have done it to rats. The dosage that they gave the rats was 1g/kg of body weight. That means in practical terms, for a 195 pound (88kg) male like myself that would be 88 grams per day. One mini-shot™ of Upgraded PQQ contains only 10mg. There is no chance I’ll be taking 8,800 mini-shots™ in one day :) I could try, but I don’t think my bank balance (a.k.a wife) would like it! So as examine.com suggest there might be a risk of toxicity from chronic use, even at a low dose. Also taking into account it depletes your glutathione stores long-term, I might not be doing a daily dose just yet. It also means that taking an additional glutathione supplement like Glutathione force or some whey protein is a good idea when you take a PQQ supplement. 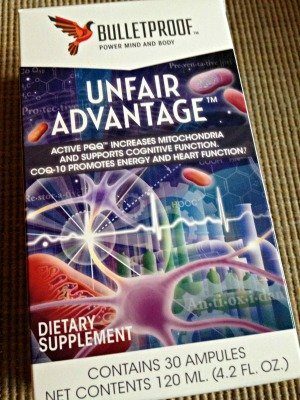 If you have been looking for some Unfair Advantage reviews to help you make up your mind I hope you’ll find mine helpful. First up, I love the packaging. There was a complete rebrand unveiling of the marketing for Bulletproof Nutrition at the Pasadena conference. I liked the original lotus Buddah man logo on the coffee and wasn’t sure in the beginning with the change to the armoured dove (my wife thought it was a pigeon! ), but as with most things related to change, you give it time and see what you think later. Well, the colours do jump out with the box, but for me that’s not the best part. The way it opens is so cool! Upon opening the box, you slide out a tray of tiny looking ampules called mini-shots™. These are all interwoven in, what could be the teeth of ferocious animal or the delicate weaving of yarn, depends on how romantic you feel. They are made of some type of plastic, not glass, and sit neatly in their assigned positions either side of the tray. I love folding the tray open. That is one of the coolest supplement packages I have seen and used. Kind of feels like carrying a tray of Jagermeister shots from college days, but now doing it the healthy way. You twist and tear the lid very easily so you can then squirt the liquid into your mouth. Now there are some bad tasting supplements out there. Gabawave is one of them, but this is not at all. I like the taste of Unfair Advantage. No weird aftertaste or needing to reach for a glass of water afterwards. Now I believe the best time to take a shot is on an empty stomach, so like first thing in the morning. I did exactly this at the conference. So in a fasted state, upon rising, I had one shot and some water. I personally noticed a good energetic buzz feeling within about 30 minutes. It is not a hyper feeling like caffeine can give you, but a nice pick me up feeling. So I felt more alert with a calm feeling, no mania on the stuff. Not quite sure how long the feeling lasted, maybe a few hours especially if you are doing a Bulletproof® Coffee and intermittent fasting along with it. I took it for the three days in a row at the conference and I felt great. Now, honestly, I was taking a whole bunch of other things with it, using the blue light blocking glasses, and playing on all the cool biohacking equipment like the Flow Dojo from the guys at Flow Genome Project. I did buy some more and have it at hand for when I need some support and when I do a Neuroptimal® session. Now that’s a post for later and how I felt on my first neurofeedback session. 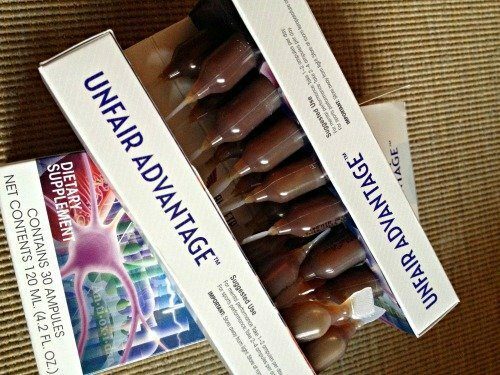 My vote is if you are looking for the best pqq supplement take to then definitely give Unfair Advantage a try, at least once, to see how it makes you feel. 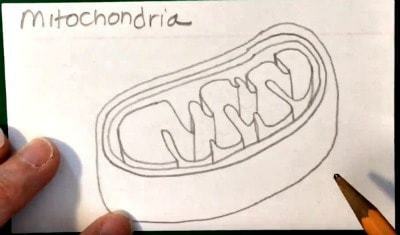 If you are an ultimate mitochondrial performance junkie then I guess the stuff is a must for reasons explained above. I’m guessing athletes might use this for a boost on the day of an event like an ironman race or football match. They might need it on a heavy training day where they feel they haven’t recovered, but then glutathione would be needed in conjunction to reduce fatigue, I would have thought, as PQQ can deplete glutathione levels. Maybe wall street traders could have the company see this as a necessary supplement to aid stressful decision making and put money into this rather than cream cheese and bagels? Savings Tip: Try out one of these coupon codes to see if you can get some percentage off your order. 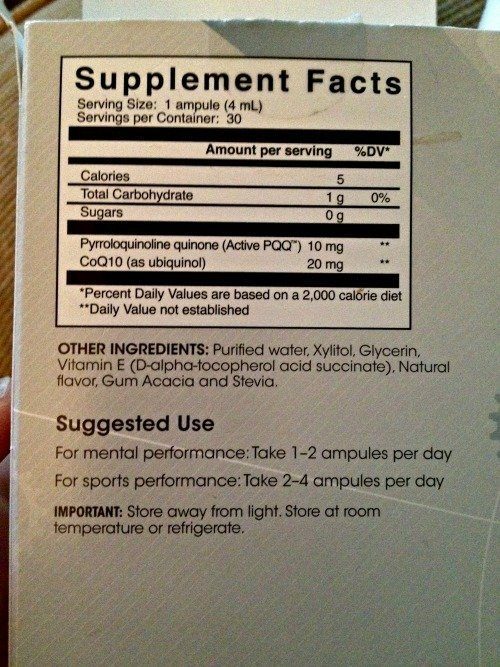 Purified water, Xylitol, Glycerine, Vitamin E (D-alpha-tocopherolacid succinate), Natural Flavor, Gum Acacia and Stevia. Thank you for a relatively interesting presentation on Unfair Advantage. 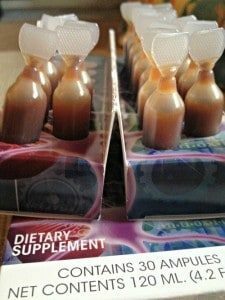 I have purchased a 30 day supply and took my first ampule this morning. Being the nearly ripe old age of 60, I am looking for the revitalization of my mitochondria health. If you wouldn’t mind, I would appreciate the sending of an email to me , if you happen to have found any new information on the effects( or lack thereof) of Unfair Advantage. Again, thank you, and I will refer to your website for other reviews of interesting and new products.